I wear Lip Fusion/Lip protector mostly at night, or when I take my lipstick off. But I thought how I can have the same wonderful feeling when I wear my lipstick? 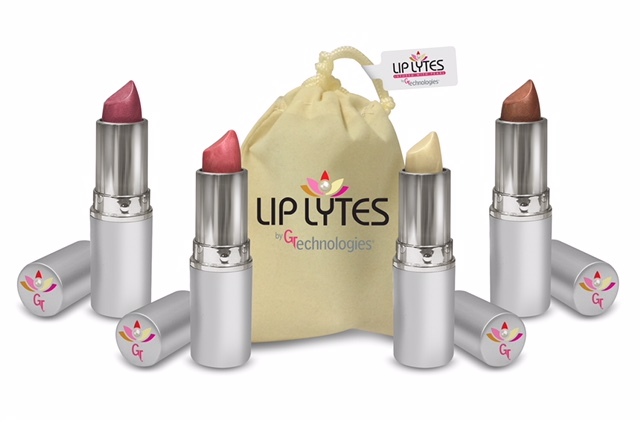 INTRODUCING LIP LYTES: If you like the moisturizing feeling of Lip Fusion/ Lip Protector, you’ll love Lip Lytes. With the infusion of shimmering pearls, we use the same wonderful ingredients, including our signature complex of oils and vitamins, to help make your lips feel healthy and smooth while adding color. After I picked the pearls, I needed to find the perfect names. Each shade represents a part of who we are as women; Courageous, Persistent, Powerful, and Accomplished.